Jamie Schlais Barnes is the executive director at Global Evaluations LLC and Curriculum manager of Individuals and Societies (Psychology) and CAS at Hague, Netherlands. Ms. Barnes has facilitated international workshops with participants from over 70 countries. Ms. Barnes’ major field of expertise is in empowering organizations via collaboration with key stakeholders in setting clear goals and objectives. Ms. Barnes’ specialty is leading large scale research and evaluation projects. She has done her masters in Psychology from Walden University and is finishing her doctorate at Virginia Commonwealth University. 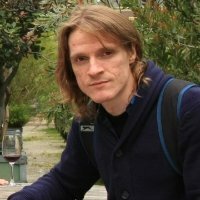 Alexey Popov PhD is an academic writer and a seasoned academician. He has authored a book on IB Psychology course companion, published by Oxford University Press. A trained psychometric expert from the British Psychological Society, he was working as assistant professor at Perm State Pedagogical University. Now he is the head of Psychology and Theory of Knowledge at Dhirubhai Ambani International School. Gabor Nagy is an assessment and leadership development specialist with rich experience in AC, training, team and organization development. He is also a seasoned entrepreneur, managing a successful consulting company for 15 years. He is the lead author of innovative pshychometric tools such as Trait-Map, OD-Map, MQ and EQ-SWOT. He holds a Postgraduate Diploma in Organization and HR Management from the University of Hong Kong and did extensive training in Pshychometrics in the University of Cambridge. He currently lives in Berlin, Germany. He firmly believes in the importance of soft skills, and he developed the first EQ development Board Game for corporate training purposes.